Set in the year 1926, writer Newt Scamander (Eddie Redmayne) arrives in New York having returned from a global adventure documenting an extraordinary array of magical creatures. 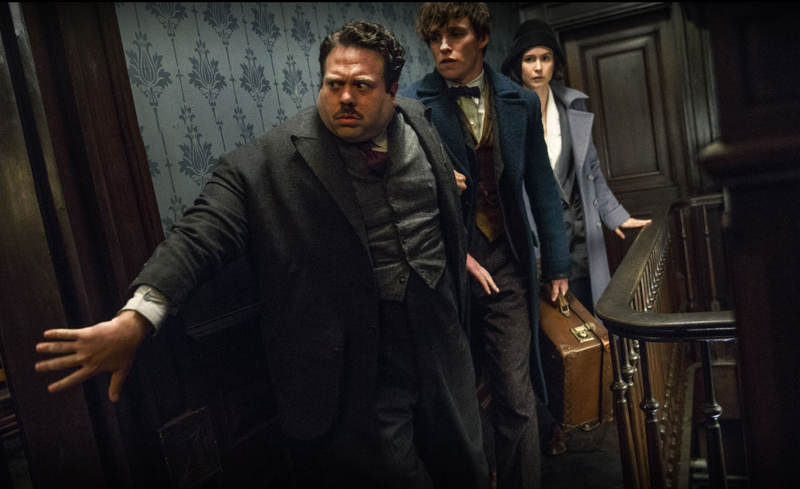 However, Newt's fantastical beasts are accidentally unleashed on the city when his suitcase is misplaced by an American named Jacob (Dan Fogler) - causing a potential war between wizard and muggle worlds. 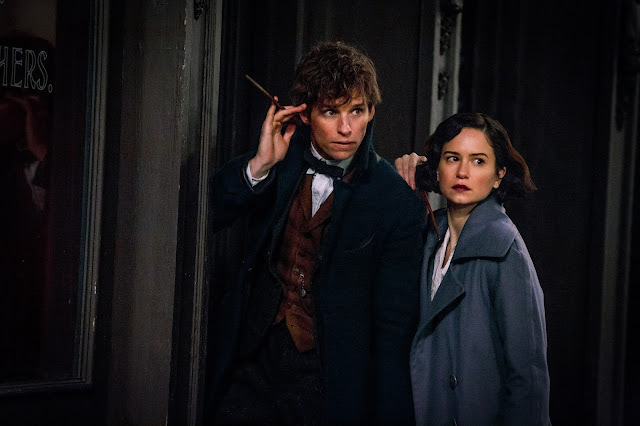 Written by J.K Rowling and directed by Harry Potter veteran David Yates, Fantastic Beasts introduces us the wizardering world - seventy years before Harry Potter arrives at Hogwarts. It's the roaring twenties and our narrative opens to English wizard and writer, Newt Scamander (Redmayne), as he arrives in New York city having travelled the world collecting creatures for his up and coming book. Almost immediately, we made aware of his magical suitcase of zoological wonders and it is almost immediately wreaking havoc on the streets of NYC. 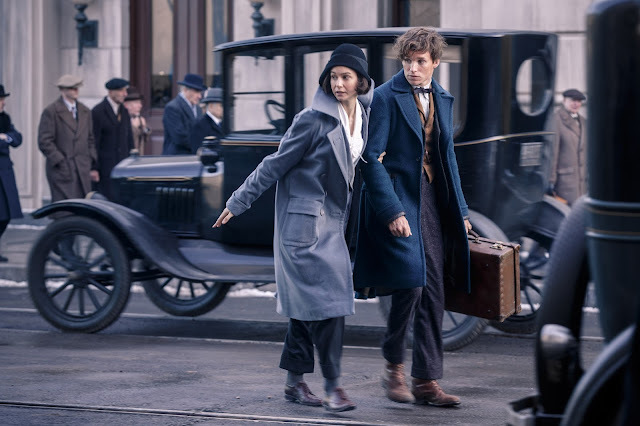 With a mysterious force also causing destruction in the city, Newt is picked up by an Investigative Auror from the Magical Congress (Porpentina Goldstein - played by Katherine Waterston), and declared a 'wanted' wizard. In a race against time, Newt must recapture his creatures and prove his innocence in the hopes of preventing an impending war between the human and magic world. At times the film comes across to be a little misguided but is charming throughout. In a nutshell, Fantastic Beasts And Where To Find Them is exactly what is to be expected of J.K. Rowling’s previous works. However, props where props due - rather than spin off a new big-screen adventure created only for the Harry Potter generation, Rowling has built an entirely new saga all together. It's a new country with new lexis ("no-mag" not "muggle") and completely new characters in a different age. Much like the Harry Potter franchise, however, it does portray a secret and mysterious world of wizards who are victim to prejudices and threatened by fascist dark forces but this time. But whilst there is of course mention of Hogwarts and the famous Albus Dumbledore, Fantastic Beasts stands on it's own two feet. It does often feel as if the film struggles with its own identity and there are clearly some structural problems. It could be said that it attempts to include too many levels to it's narrative. Alongside Newt and his baker friend, there is also the dangerous threat of witch-hunters with Mary Lou Barebone (Samantha Morton) and her fragile adopted son Crendence (Ezra Miller), corrupt wizards and a very brushed over segment of politicians and the Shaw family who control the media - briefly featuring John Voight. Most enjoyable scenes are perhaps of Rowling’s creatures (particularly Niffler - a mischievous mole-like creature who collects shiny objects), which are beautifully showcased with excellent visual effects but this is arguably over-saturated. Shown alongside a bulk of action sequences, this eventually, and rather ironically, slows down the pace of the film which almost comes to a complete halt three quarters of the way in. Breaking up these dips, however, is some truly delightful and amusing scenes involving both the creatures and our protagonists. The vision of an Oscar winning Eddie Redmayne bent over and grunting during a mating dance for a giant rhino is sure to stay with you whilst the relationship between Jacob and Queenie (Alison Sudol) is executed brilliantly. These combined, makes for your average, easy-viewing action adventure most suitable for a family audience. Another success for the film is its cast. 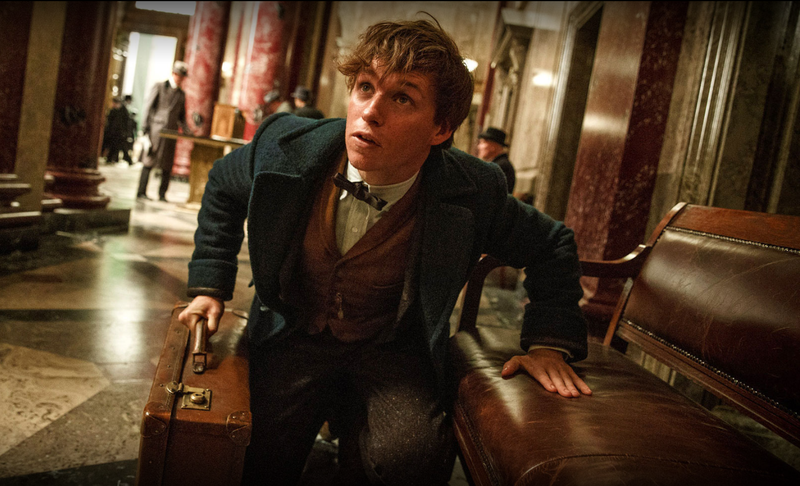 Alongside a whole host of creditable actors, Redmayne proves to be an excellent choice for Newt – a socially awkward Hogwart’s drop out who struggles to communicate and maintain eye contact. His new found friend, Jacob, is ultimately the opposite. Portrayed by comedic actor Fogler, Jacob’s character provides the majority of the films comic relief with his stereotypical New York mannerisms and blatant flirtations with Queenie which seem to dominate the majority of the narrative towards the third quarter. 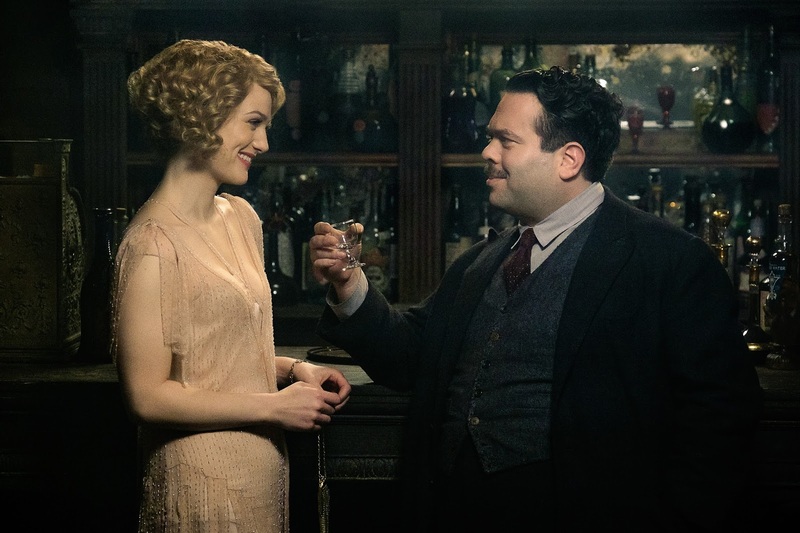 This does, however, leave very little time for Porpentina and Newt to develop their relationship until moments before the end. Katherine Waterston remains ever present throughout the film, however, and delivers a solid performance. Ultimately, the shear busyness of Fantastic Beasts means it relies quite heavily on the visual effects and its overall charm. The nonstop chase and movement of the characters down side streets, speak easies and dungeons leaves little time to develop plot points which are started but not always fully elevated. Quite obviously, this makes way for an array of sequels of which Warner Bros. hope to make five unnecessary ones. Overall, the film features some excellent performances, visuals and of course, beasts though I’m not sure it needs much of a follow up and perhaps could have been a little cleaner in its delivery. Fantastic Beasts and Where to Find Them gets a Sophie star rating of 3.5 stars and is in cinemas from today. Well, that's it for another film review. As someone who really isn't a Harry Potter fan, I feel that perhaps I'm not the best person to give a review and I feel that perhaps 3.5 stars might come across a little harsh. I truly think fans will lap this one up and could even be a 5 star film for some. Will you being seeing it this weekend? What are your hopes for the film? As always, I love reading your comments so please do leave me lots of lovely ones down below! Big thanks to Warner Bros. for allowing me to see this ahead of release - I can't wait to see what you guys all make of it. I haven't seen it yet but your review sounds like what I expected. More novelty than anything else. But I'd still like to see it! I think the dim lighting is somewhat neccessary, the narrative itself is quite dark overall really but it does also make for an attractive aesthetic. There are bright scenes also though, for example when he goes in to the little world of the creatures, there's all sorts of colours and settings so I'd probably have to disagree with that reviewer there. I'd like to know what you think of it though - I saw it in 2D and I don't think it would have been made better by 3D tbh. I ended up seeing it in 2D as well. I looked on IMDb afterward and read a post that some thought it was visually striking on IMAX3D. It looked all right on 2D. I see what you mean about the no-mag political subplot (and other subplots) being undeveloped compared to the chases. A big bright spot for me was Queenie in contrast to the unpleasantness of the MACUSA. I did feel sorry for Tina for the various situations in which she was placed so I did like the character. Newt didn't seem that interesting a character and I can only see him as a side character for future movies. Harry Potter fans want to see young Dumbledore more. The beasts were "nice", though. I saw this at the weekend Sophie and I thought it was very good although I completely agree with your review. 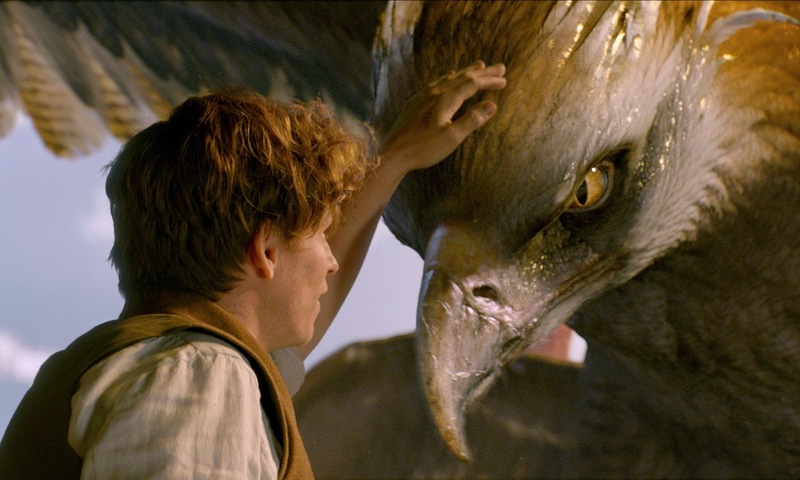 I myself am a Harry Potter fan so I think I would have liked it regardless but I agree that whilst it is wonderful in terms of the effects and creatures, it does lack in some parts. Very good overall though. Thank you for your excellent and detailed review (as per usual!). 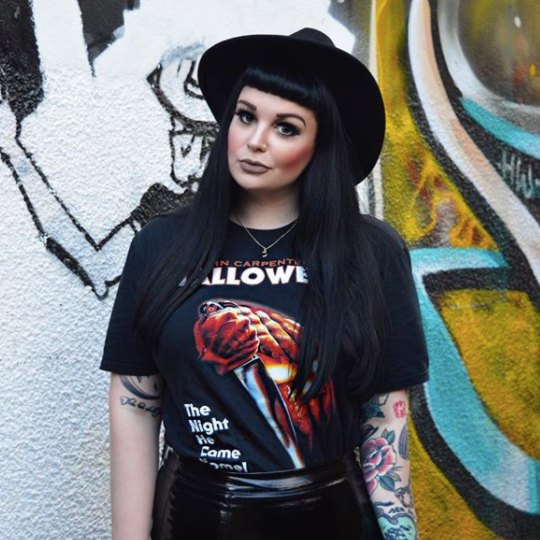 Hope you're having a fantastic week, can't wait for your next film review Sophie!